A quick stop to visit the leaning tower. 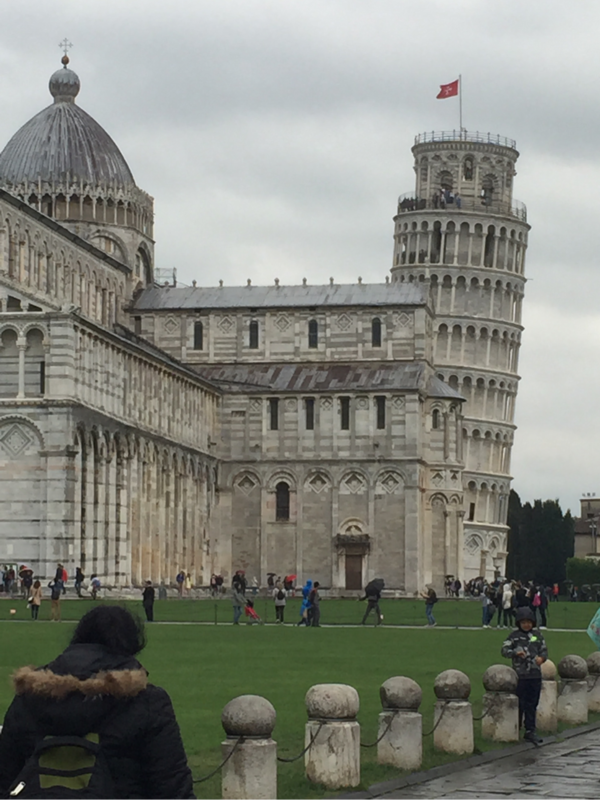 Even with the rain there were big crowds visiting the Leaning Tower of Pisa. Efforts are underway to correct the leaningness of the tower, which is continuing to lean more and more. There is some legitimate fear that it will fall over. Not too long ago, corrections were made on the fifth tier up from the bottom. Hence, the crooked leaning tower of Pisa. I am not clear on whether or not preventing additional lean is the same as straightening the tower. Seems likely that tourism will suffer if the tower suddenly stood up straight.